Jennifer Higdon (b. 1962) is one of America’s most acclaimed and most frequently performed living composers. She is a major figure in contemporary classical music, receiving the 2010 Pulitzer Prize in Music for her Violin Concerto, a 2010 Grammy for her Percussion Concerto, and a 2018 Grammy for her Viola Concerto. 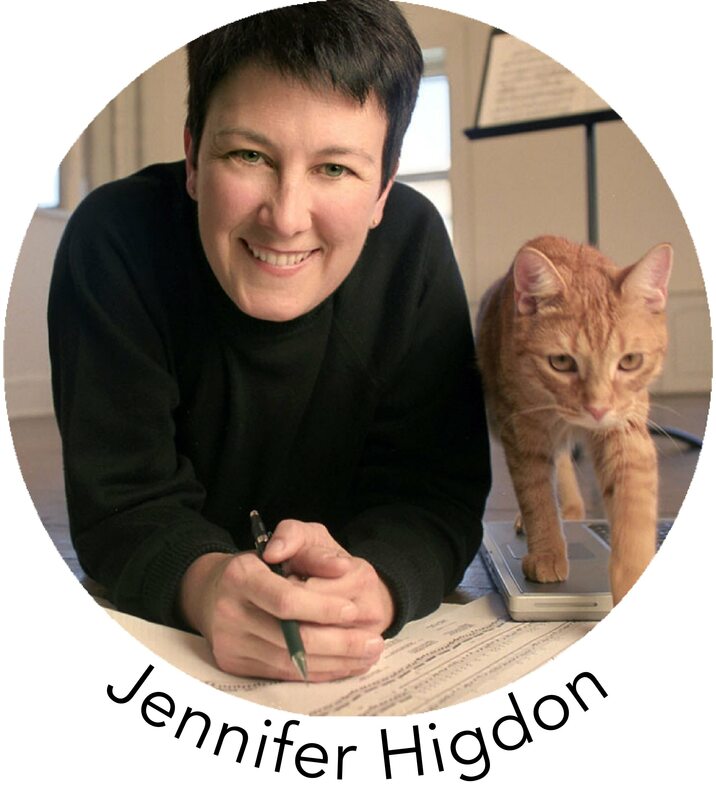 Most recently, Higdon received the Nemmers Prize from Northwestern University, which is given to contemporary classical composers of exceptional achievement who have significantly influenced the field of composition. Higdon enjoys several hundred performances a year of her works, and blue cathedral is one of today’s most performed contemporary orchestral works, with more than 600 performances worldwide. Her works have been recorded on more than sixty CDs. Higdon’s first opera, Cold Mountain, won the prestigious International Opera Award for Best World Premiere and the opera recording was nominated for 2 Grammy awards. Dr. Higdon resides in Philadelphia and holds the Rock Chair in Composition at The Curtis Institute of Music. "When I started thinking about writing a piece for woodwind quintet (Autumn Music, 1995), my mind began to contemplate all of the wonderful chamber music that I have played as a flutist through the years. My mind kept going back to one of the greatest contributions to the woodwind quintet literature, Samuel Barber’s Summer Music. Having the privilege as I do of having been a student and now a teacher at the same school where Mr. Barber was both, I am ever aware of the gratitude and esteem with which I hold this artist who created so much beautiful music. It is with a humble heart that I pay homage to him and to the genre of woodwind quintet literature with this piece. Autumn comes to us in many guises: incredible explosions of color; air that suddenly snaps with crispness and clarity; a tinge of melancholy on the eve of change in all of our lives. This piece is a musical portrait of the essence and images of Autumn. The first part of the quintet represents the beginning of the season, with its explosions of color, sharp lines, and vivid imagery; always changing and always vibrant. The musical lines are sometimes present with each instrument carrying a different rhythm, reminiscent of the way leaves float down from a tree in a very unsynchronized manner. As the quintet moves into the last part of the work, there is more of an introspective and melancholy quality to the music; the music itself becomes more simplified, with a darker color to the sound. It is the passing of the season. This work was commissioned in 1995 by Pi Kappa Lambda Music, Honorary." 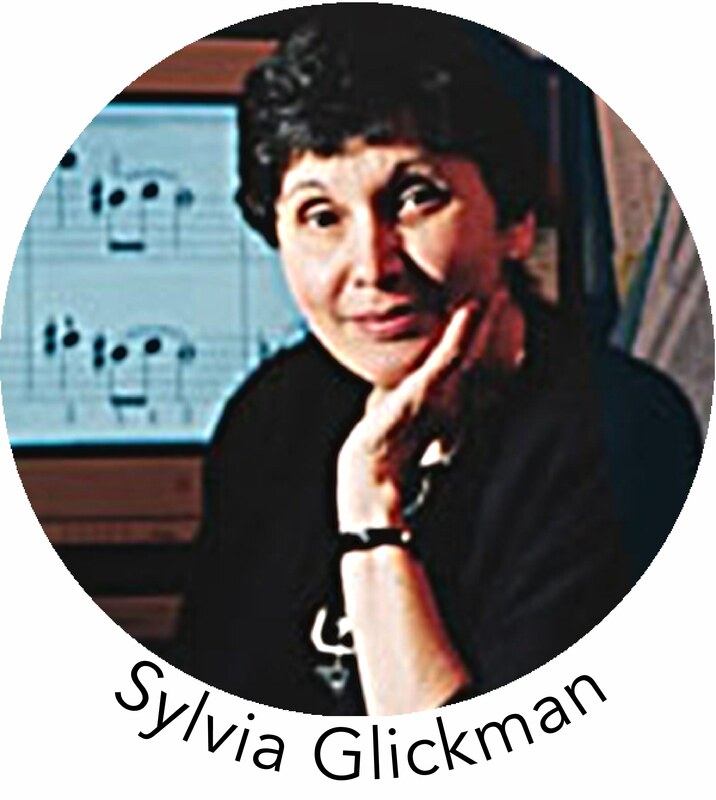 Philadelphia composer Sylvia Glickman (1932-2006) studied at Juilliard and the Royal Academy of Music in London. Winner of prizes for both performance and composition, including a Solo Artist Fellowship from the National Endowment for the Arts, a Fulbright Scholarship, and grants from the Pennsylvania Council on the Arts, she performed to critical acclaim in solo and chamber concerts on four continents. She received the 1995 Award for “Distinguished Service in Support of Concert Music Composed by Women” from New York Women Composers, Inc.; annual Meet-the Composer and ASCAP Awards; and commissions from the PA Council on the Arts and Network for New Music. The founder of the Hildegard Publishing Company, she also served as the Artistic Director of the Hildegard Chamber Players. Her own works have been performed throughout the U.S. and in Europe; her three Holocaust remembrance works (The Walls are Quiet Now, Am I a Murderer? and Carved in Courage) are available on Albany Records. Glickman’s poignant duo for flute and viola, Antigone Speaks (2004), is musically based on the Byzantine hymn “On Leaving the Wealth of Her Family” originally composed by the 8th-century nun, composer, poet, and outspoken intellectual, Kassia, the first female composer whose works have been preserved. The implications and references of the work, including some brief spoken portions, draw specifically from Sophocles’ Antigone and from Kassia’s hymn. Glickman voices, sometimes with harshness, sometimes with tenderness, the protest of the girl whom, in Greek legend, King Creon’s decree deprives of her right of conscience to give decent burial to her outcast brother. 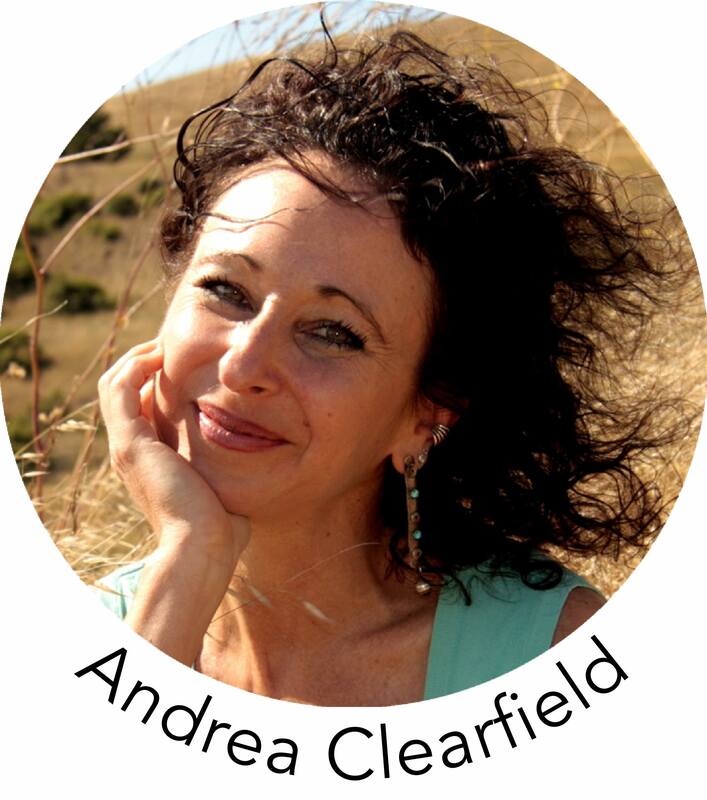 Philadelphia’s Andrea Clearfield (b. 1960) is an award-winning composer who has written more than 150 works for orchestra, opera, chorus, chamber ensemble, dance, and multimedia collaborations. Clearfield creates deep, emotive musical languages that build cultural and artistic bridges. Recent works are inspired by Tibetan music fieldwork that she conducted in the Nepalese Himalaya. She was appointed the Steven R. Gerber Composer in Residence with the Chamber Orchestra of Philadelphia for the 2018-19 season. Her first opera will be premiered as part of the NYC Prototype Festival this January. Dr. Clearfield was awarded a 2017 Independence Foundation Fellowship, a 2016 Pew Fellowship in the Arts, and fellowships at the Rockefeller Foundation’s Bellagio Center, American Academy in Rome, Yaddo, Copland House, and MacDowell Colony, among others. A strong advocate for building community around the arts, she is founder and host of the renowned Salon featuring contemporary, classical, jazz, electronic, dance and world music since 1986. Compass Kaleidoscope (2015) was commissioned by the Pennsylvania Quintet (Penn State Faculty members) in celebration of their 30th Anniversary. It is based on a theme related to Pennsylvania: Amish quilts. Pennsylvania is noted for its longtime quilt-making arts, a tradition started in the early 1800′s by Amish and Mennonite women in Lancaster county. Each of the five movements of the quintet is inspired by a different traditional quilt pattern chosen by a member of the quintet. The musical materials were derived from the geometric shapes, color palette, arrangement of blocks, the name of the design and traditional folk melodies. Some of the compositional ideas were informed by the composer’s synesthesia where particular pitches are associated with colors. Born in Louisville, Kentucky, Valerie Coleman (b. 1970) recently joined the faculty of University of Miami and is recognized as an internationally acclaimed, Grammy-nominated flutist, boundary-crossing composer, and entrepreneur. She is an alumna of Chamber Music Society of Lincoln Center CMS Two Fellowship, Concert Artists Guild, and creator of the ensemble Imani Winds. 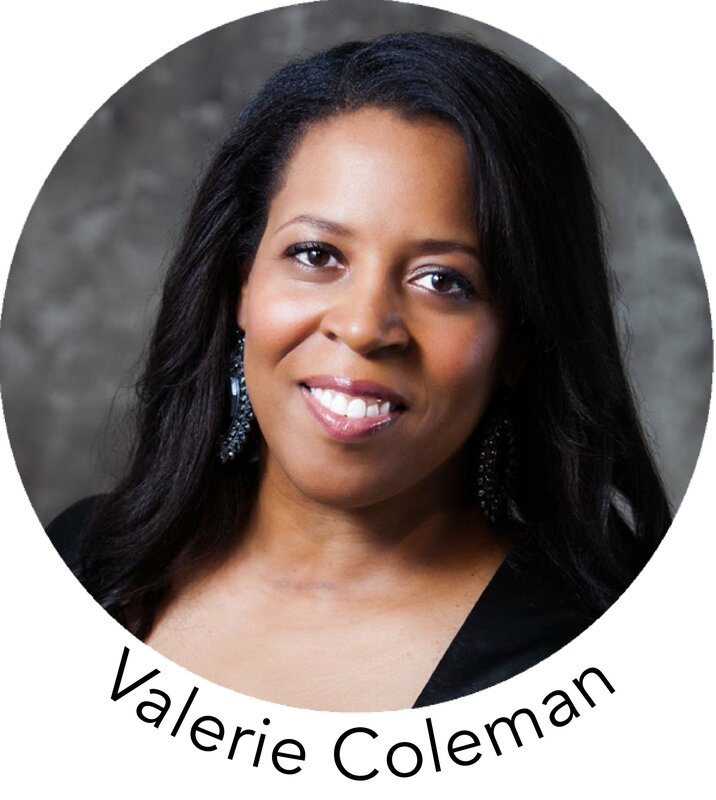 Listed as “one of the Top 35 Women Composers” in the Washington Post, Ms. Coleman has received composer awards such as the Van Lier Fellowship, MAPFund, ASCAP Award, and nominations from The Academy of Arts and Letters. Ms. Coleman’s performances span the globe from Carnegie Hall and the Kennedy Center, to Wigmore Hall and Chamber Music New Zealand. Her flute and pen have dived into various genres of collaborative performances with artists like Wayne Shorter, Paquito D’Rivera, and David Shifrin. Ms. Coleman has given masterclasses at institutions in 49 states, including Eastman, Juilliard, Curtis, Yale, New England Conservatory, Oberlin, and Interlochen; and in 5 continents. Umoja is an original composition, a “groove-based” melody, calls for unity through the tradition of call and response, and has become the signature anthem of her quintet, Imani Winds. It was listed by Chamber Music America as one of the “Top 101 Great American Ensemble Works” and is a staple within woodwind literature. Umoja is the Swahili word for “unity” and is the first day in the African-American celebration of Kwanzaa.